This is a 2 mile (3km) long linear park that leads from the Lincoln Memorial to the Capitol Building. If you’re up for it, it’s a nice walk to do past the reflecting pools and memorials. 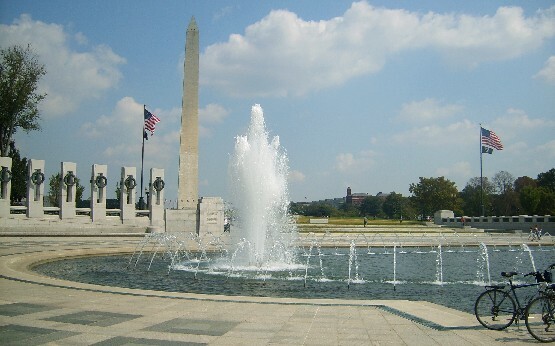 The World War 2 memorial in particular is really impressive with its water fountains. Don’t be deceived by how long this walk is though, the buildings look closer than they actually are! This is an extract from our free Washington City Guide. Apart from the World War 2 memorial (below), you will also see the Vietnam Veteran’s memorial which is a huge wall listing the names of all those who died. It’s a powerful message to seeing the vast number of names like this and it’s an upsetting memorial to visit. The thing that most affected us was the handwritten note to one of the soldiers from a colleague saying that he was no longer well enough to come and visit – it brought tears to our eyes. 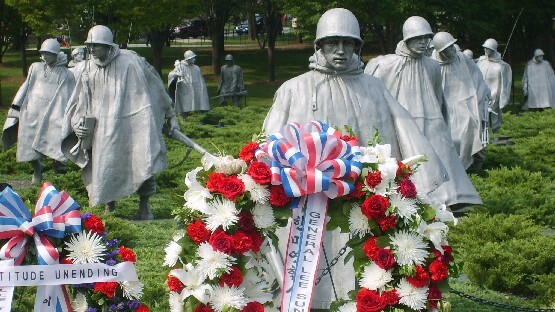 Another notable and powerful memorial is the one dedicated to Korean Veterans (pictured above). 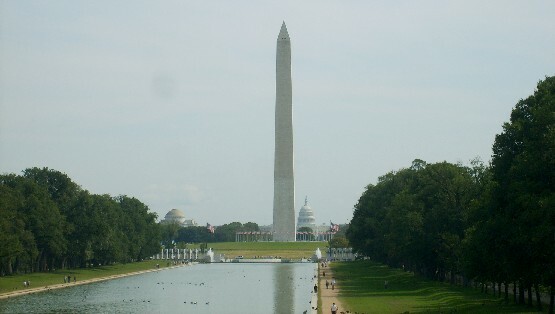 At the centre of the National Mall is the huge needle-like Washington Monument. While you’re walking the National Mall, you are sure to see some people on the Washington Segway Tour which looks great fun! The National Mall (also known as the Washington Mall), starts at the Lincoln Memorial, which is located on 23rd Street, between Independence and Constitution Avenues. It ends at the US Capitol at 100 Constitution Avenue Northeast.